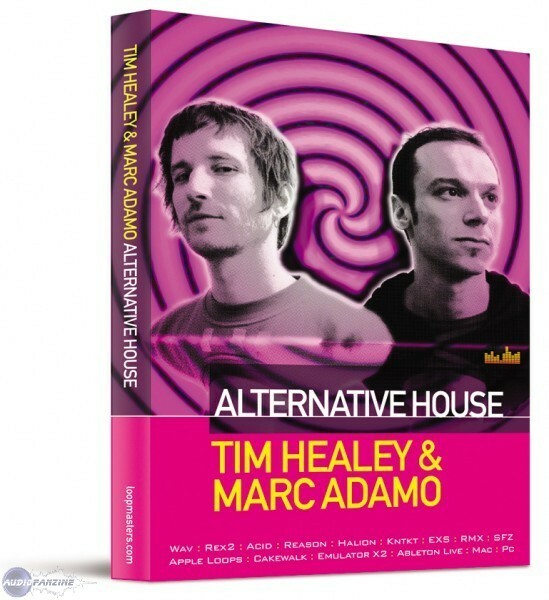 Tim Healey & Marc Adamo: Alternative House, Techno / House / Trance Sample from Loopmasters. Loopmasters presents ‘Alternative House’ from Tim Healey and Marc Adamo. It features a sample collection which melts the Jackin, Electro Tech sound of the dancefloor with "Heavyweight basslines, analogue tones, and supercharged House beats for Future House producers worldwide." The drum loops and single hits are said to have been beefed up through the use of valve and solid state compressors. Effects are included with them for mixing up the style and flavours from "cutting-edge tech, minimal, electro, glow-stick-tastic ghetto-rave, baille-funk to retro 80’s styles." This multi-format collection has 1GB content, which comprise 114 Snarling Basslines, 274 Full fat Drum Loops, 73 inspirational Music Loops, 31 Analogue Synth Patterns, 20 Vox and FX loops, 132 Bass Multi-parts, 286 Single Drum Samples, 54 FX and about 100 Synth Sounds. Alfred Hot Rock Licks Greg Howe The one-hour instructional DVD Hot Rock Licks covers a variety of subjects ranging for melodic warm-up exercises to some of Greg's favorite licks, according to Alfred.